I never imagined that I would make a film like 16 Photographs At Ohrdruf, or take on any project of this magnitude. Like most of you, I had no idea what the word “Ohrdruf” meant before I started my research. It was just a word, something I’d stumbled upon at my grandparents house, but it really didn’t tell me about a place or a time. I didn’t know that Ohrdruf was a turning point, and that for men like my grandfather it was a word spoken with reverence, if they spoke about it at all. This letter is to ask for your financial support to help get this film out into the world, onto big screens at film festivals and DVDs for people to own. Until April 4th, you can donate to help this independent film at IndieGoGo.This documentary was made on a shoestring budget, and we are proud of what we have created and the story we tell. More importantly, we are proud of the challenge we pose to you in this story: what lost history is in front of us, what stories could be uncovered if we just look? For me, money and art are two things I find hard to reconcile, yet they are both necessary to tell the story of Ohrdruf and the men who liberated the camp. Your donation will help us meet several important goals. As a newcomer to the film festival world, I was surprised at the costs and fees associated with submitting the film for consideration. The cost of applying and finding the right festivals is overwhelming, but it is also necessary because it is the festivals that will help the film find an audience, a market and (with hard work and luck) a distributor. Your support will allow us to enter festivals and travel to promote the film. While making this film, I was very lucky to have great friends who offered their talents to help tell this story. For the most part, they worked for free and called it their labor-of-love. Yet, I believe that professionals should be paid for their work. If you enjoy independent film, and think that artists should be paid, please consider supporting this project. 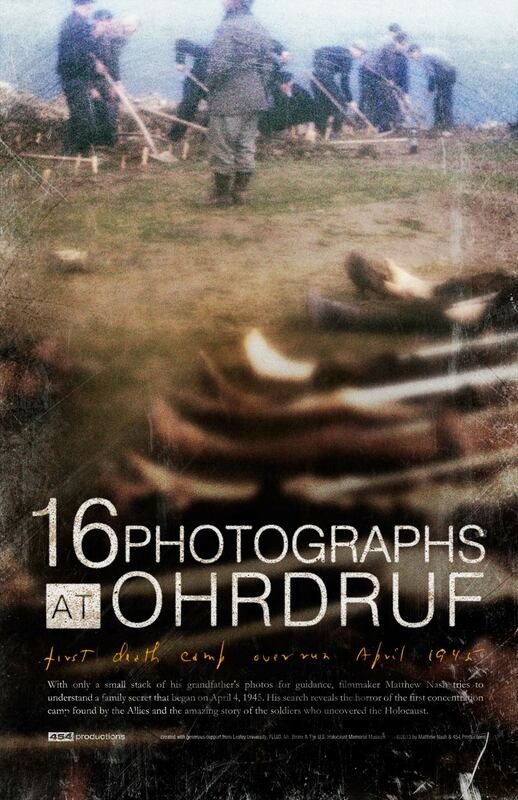 We worked hard to make sure that 16 Photographs At Ohrdruf offers a unique perspective on Holocaust history, and we know that the challenge posed in the film needs to be heard while the eyewitnesses are still alive to tell their story. 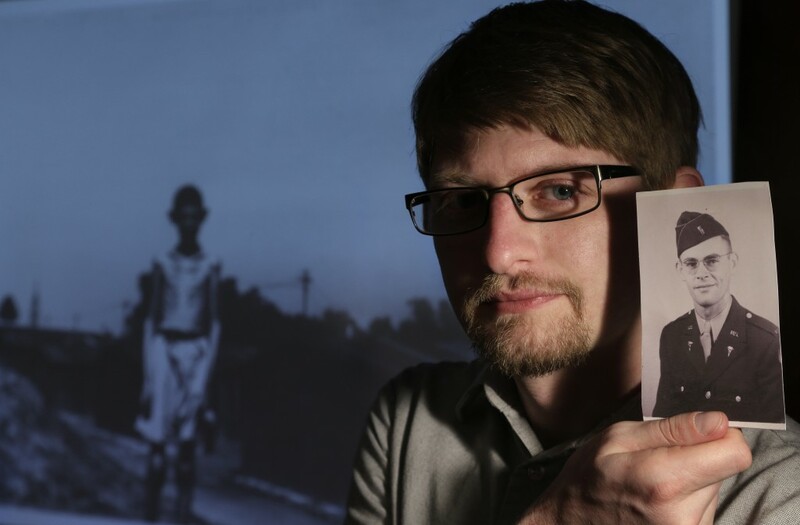 In creating the film, I was able to build lasting friendships with the veterans of the 65th and 89th Infantry Divisions, as well as a number of Holocaust memorial groups. Each public screening of 16 Photographs At Ohrdruf is an opportunity for the remaining eyewitnesses to tell their story. I have never written a fundraising letter like this before. Then again, I’ve never made a film like 16 Photographs At Ohrdruf before. I’m asking for your financial support because I truly believe that this is something you will be proud to have been a part of. Click here to go to IndieGoGo and learn more about the film and the fundraiser. Thanks for your generosity, and even if you can’t make a donation please share with your friends. Also, you can go here for information about upcoming screenings, including the Boston International Film Festival and the G.I. Film Festival.